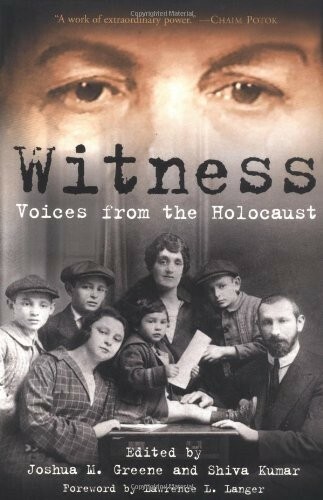 witness is about people who were alive during the holocaust. They will tell you what was happening during there time and how. 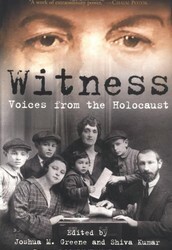 John was a witness and he said that the Jews had it bad. The Nazis would kill beat and even trick the Jews. The Nazis would act like they were not them selves and try to be nice to the Jews and when the Jews felt for it the Nazis would trick the Jews and kill them. They will tell you time to time rumors Hitler spread-ed. Hitler made a (so) could camp for the Jews and when the Jews got there they would separated by gender and people who could not work and the people that could not work they would hang them for days for people to see. There was another camp just were the kids went they would make them make weapons for the Nazi. 1) the Jewish men would leave there home so the Nazis would leave there family alone. 3) Jews did not get paid as much as others did. Somebody you like depressive thing. Somebody you enjoy listening to the same thing over and over. some who could visualize things in there head.